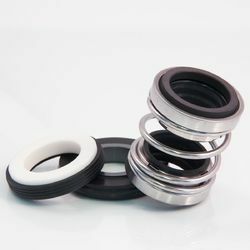 To supply the ever rising needs of our customers, we are occupied in offering a wide range of Elastomer Bellow Seals. 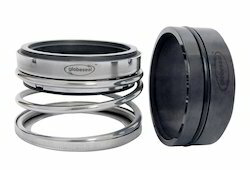 SSE 20 series Elastomer bellow mechanical seals internally mounted are amongst the most commonly used seal. On all rotary equipments such as pump, compressor, agitators, mixers and marine a different series of Elastomer bellow seals used for different fluid. Our organization has attained name and fame for offering Single Spring Unbalanced Seal to the patrons. ARB 20S & ARB20G has been designed for general sealing purpose which includes easy installation of the seal. Supplier of Elastomeric Bellow Seals. Our product range also comprises of Dry Running Agitator Seal, Multi Spring Unbalanced Seal and Spring Unbalanced Seal.